Volunteer and Support the Smithsonian Folklife Festival 2013 - "Hungarian Heritage - Roots to Revival"
Smithsonian Folklife Festival 2013 - "Hungarian Heritage - Roots to Revival"
3/25/2013 - The American Hungarian Federation supports the Smithsonian Institution, Balassi Institute and the Hungarian Embassy in promoting the 2013 Smithsonian Folk Life Festival featuring "Hungarian Heritage - Roots to Revival." AHF Executive Committee commited to $10,000.00 seed money toward the $100,000.00 needed for the building of the Hungarian Pavilion and grounds. AHF calls for volunteers and support! The Smithsonian Institution has been presenting a Folklife Festival since 1967 on the National Mall in Washington, D.C. The Festival is an annual event, celebrating cultural traditions from around the world. This is the largest and most important event of this kind in the world, reaching approximately 40 million people in the U.S. The 2013 Festival's theme will be "Hungarian Heritage - Roots to Revival" and will feature a wide spectrum of activities from Hungarian folk crafts to dance and music. The Festival takes place on the National Mall in Washington, D.C. from June 26 to July 7. This is a tremendous opportunity to showcase our heritage and presence in the Carpathian Basin. Designer Dénes Kaszta created a beautiful festival logo (based on a 1930s photo of the peacock façade decoration of a house from Kalotaszeg). Ágnes Fülemile, Director of the Balassi Institute - Hungarian Cultural Center in New York is working closely with the Hungarian Embassy, AHF and the Hungarian-American community to raise funds to make this incredible event a success. The site of the Hungary Program on the Mall was approved. It will be the area on the side closest to the Capitol with a nice open view to the Capitol building. The area has lots of advantages. Being closest to the Smithsonian Palace, most probably the Opening Ceremony of the Festival will be held at the main stage of the Hungary Program. As you can see in the plans here, this is an ambitious program that needs our financial support and many volunteers! In addition to the structures of the Hungarian Market (Piac), there are two major structures planned. One is a vertical "Peacock Tower," visible from the distance, which would serve as the main architectural symbol, the landmark of the Hungary Program. The frames of the bottom part would create an exhibition area where we could give basic information about Hungary’s geography, history, population, natural resources, heritage sites, etc. 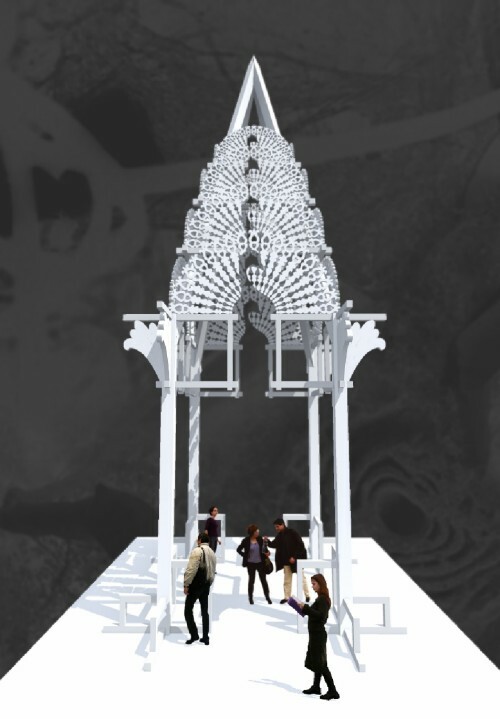 The roof structure would exhibit the peacock logo and at the same time it would carry the automated bell-system playing the festival’s musical signal. These are ambitious plans which need our financial support to make them a reality!!! 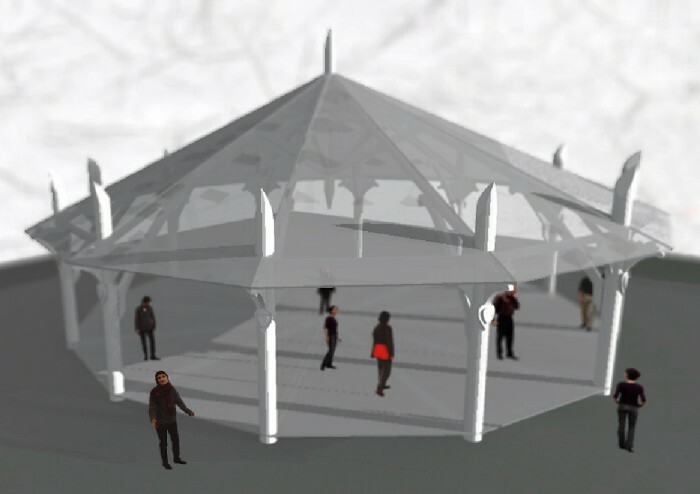 Sponsors have the option of KEEPING the structures and other displays! [contact us] if you want more information about making a major donation. 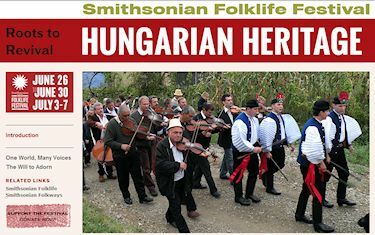 Please Support the Hungarian Exhibition at the Smithsonian Folklife Festival in 2013! Hungary will be the featured country at the 2013 Smithsonian Folklife Festival on 26-30 June and 3-7 July, 2013 at the National Mall in Washington, DC. This is a unique chance to showcase Hungary’s cultural heritage. It is a once in a lifetime opportunity for the American public in general, and Hungarian-Americans in particular, to connect with Hungary. We need your financial support to create a truly memorable and lasting experience for the millions of visitors expected at the National Mall. Hungary has allocated over $1 million to support these programs. Over 100 performers and craftsmen will showcase Hungarian folk culture, heritage, and identity. Dozens of programs will be presented every day. Concerts and dances will be performed in the evenings. With your financial support, we will be able to broaden the programs even further. Your contributions would mean the difference between merely having a good program and making the Hungarian Heritage an outstanding success! Let’s make sure it is the latter! We need to raise $100,000 to make the “Hungarian Heritage – Roots to Revival” program an outstanding success! Your financial support will help create an iconic exhibition building at the National Mall. After the Folklife Festival, this building will be removed and could be re-assembled at another location for the Hungarian-American community. Your support will pay for the costs of bringing Hungarian artists from Hungary and neighboring countries to the Smithsonian Folk Life Festival. Many Hungarian American organizations are working hard to raise money for the “Hungarian Heritage – Roots to Revival” program at the Smithsonian Folklife Festival. The American Hungarian Federation, The Hungarian American Coalition, the William Penn Association and the Hungarian American Cultural Association are just some of the tax exempt organizations working together to support this effort. HACA is coordinating the fund with the Hungarian Embassy to collect tax exempt donations for this exceptional opportunity to display Hungary's culture to the visitors at the National Mall. On behalf of the Hungarian American community and on behalf of the Hungarian Embassy, I want to thank you for supporting this special event. Your donations will be acknowledged with a tax deduction receipt. We need volunteers and your financial support! Learn how to help make this amazing event a resounding success! 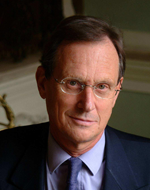 [Read this message] from George Szapary, Ambassador of Hungary to the United States. Have Fun and Support the Event! 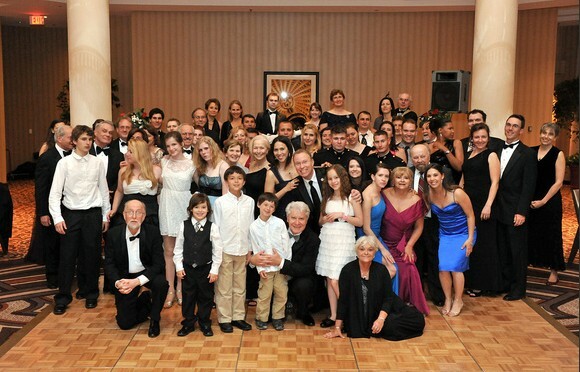 Come to the 2013 Hungarian Charity Ball on April 19th! The Annual Hungarian Charity Ball raises funds for worthy causes... The American Hungarian Federation and the Hungarian Scouts of Washington sponsor the Jótékonysági Est (Benefit Event) to support educational and charitable programs. This year's event returns to the Sheraton Premiere at Tyson's Corner: 8661 Leesburg Pike, Vienna, VA 22182. 7 pm open bar! Doors open at 8. Featuring the NY Continental Band. Black Tie! Great food, dance, friends, and a great cause! This year we plan to contribute funds toward the purchase of diagnostic equipment to support the Lung Ward of Trebišov Hospital (Tőketerebes Állami Kórház Tüdőosztály) in Eastern Slovakia (in former Upper Hungary). The Lung Ward treats numerous patients who contracted lung cancer or other lung-related diseases, following the Chernobyl disaster. Our support will help the continued operation of this facility. In addition, we will support the Smithsonian Folklife Festival. Here's you chance to have fun AND support this once-in-a-lifetime event! [Read more] and buy ticlkets online!